One of the most interesting and amazing places in the world is the Arctic Circle. As one of the most attractive areas found on earth is Arctic Circle which is often found on people’s travel diaries as they endeavor to travel to one of the most interesting places in the world. Did you ever imagine that frenzy ambiance in the northernmost part of the planet is because of the seabirds present in the Arctic region? A recent study revealed that the massive amounts of bird guano (droppings of birds is converted to manures; for example as of cow) in the Arctic release gases that contribute to cloud cover; as it partly blocks the sunlight, which in turn reduces the temperature of the surrounding environment to some degrees. 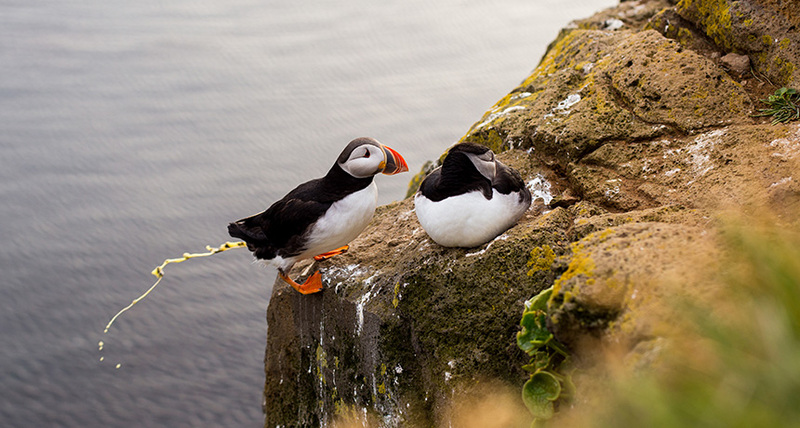 According to Greg Wentworth, an atmospheric scientist with the Alberta Environment and Park says that thousands of tons of ocean birds feces (digested waste material) deposited in the Canadian Arctic region helps in keeping the Arctic climate cooler in summer. -A study in July 2014 reveals that- Wentworth and his teammates were surprised when they measured an unexpectedly high concentration of ammonia in the “unspoiled, summertime Arctic atmosphere”. -He said that they were wondering that from where this ammonia was coming from; scratching our heads, said- Wentworth. 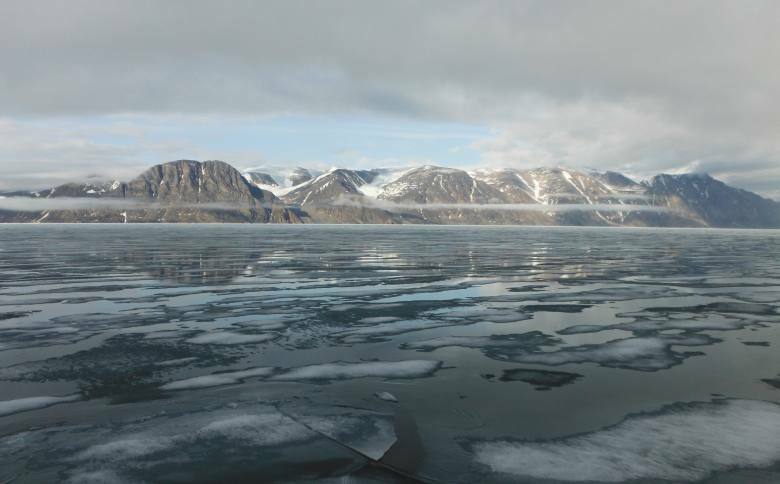 The study was important because no one had actually tried to find out the reason behind the ammonia effect in the Canadian Arctic before- according to Greg Wentworth. Ammonia – chemicals habitual in the lower parts of Canada because of agricultural and industrial emissions – there is an exception in the far north. What makes this effect work? 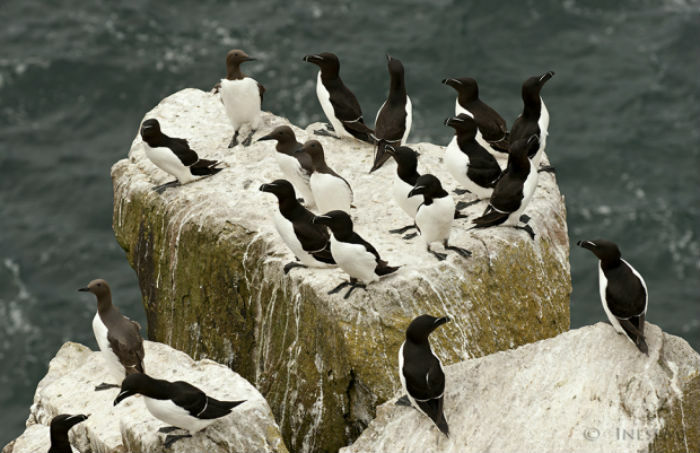 The nitrogen-rich diet which the seabirds have and feces they discharge results in the release of ammonia into the air. This ammonia then has a reaction process with the other particles, gases, and forms- “tiny liquid and solid droplets hook up in the atmosphere,” said Wentworth. These particles can grow further and affect the formation and changes in clouds atmosphere. The more are the particles, shinier the clouds will be; as a result of which brighter clouds will throw back more sunlight, said, Wentworth. Wentworth named it as “brighter umbrella” where we see the bird-poop-animated clouds reflecting the sunlight away from the Arctic. Amazing it is! So birds unveil this important puzzle of bird-poop cloud formation chemistry. Wentworth also said that there is nothing to do with bird poop and global warming. Wentworth said, “In the grand plan of everything,” estimated 40,000 tonnes of seaweed dissection in every summer is not very high. “Its impact per square meter (-0.5) watts; to keep an overview, Wentworth said that the natural greenhouse effect is (+150) watts per square meter. Researchers also found that a cow which feeds the seaweeds (plants near marine life such as algae) could reduce the content of methane gas with the release of their burps. Others said that putting down iron into the ocean may result in the release of carbon-dioxide reducing phytoplankton, and some others are still on an experiment mode to inject carbon into the grounds to turn that into stone. Also Read: This Coral Barrier Reef Is Even Seen From The Space! Previous articleThis Coral barrier reef is even seen from the space!